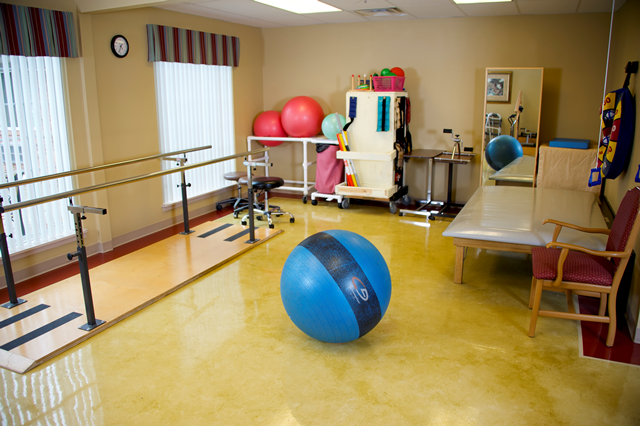 Available modalities include exercise equipment, ultrasound, electrical stimulation and VitalStim® therapy. Each program is custom tailored to meet an individual’s needs. Together with a patient and his or her physician, our team creates a unique plan designed to restore an individual’s maximum level of independence. A Home Assessment prior to discharge will help ensure a smooth transition from our home to yours. We look forward to partnering with each person to attain each milestone. Contact us to learn more about rehabilitation services at Franklin Ridge.